Nobel laureate calls for new strategy to spur Africa’s growth – Royal Times of Nigeria. A Nobel Laureate, Joseph Stiglitz,on Monday advised African countries to adopt coordinated strategy encompassing agriculture, manufacturing, mining, and service sectors to attain same success delivered by the old manufacturing export-led strategy. 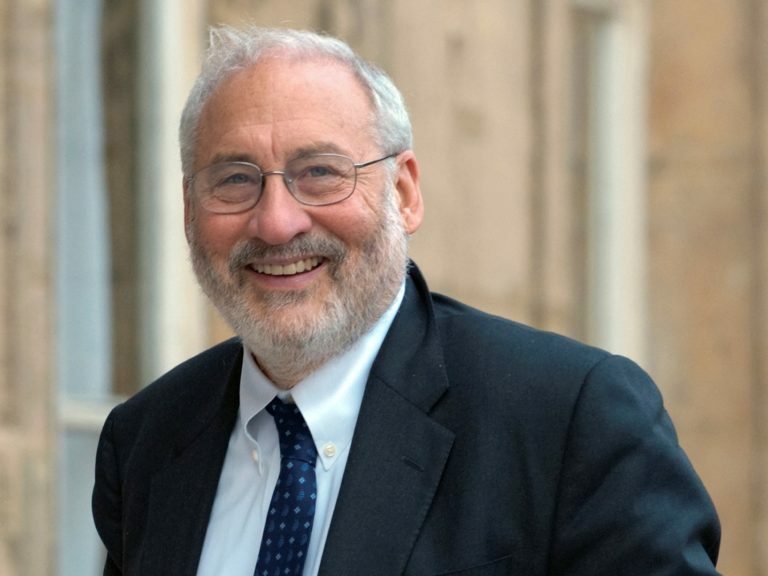 Prof. Stiglitz, an economist and professor at Columbia University, New York, gave the advice at the Babacar Ndiaye lecture series introduced by African Export-Import Bank (Afreximbank) which debuted in Washington D.C. He said that while export-led growth was the basis of success of growth over the past half century, the factors that enabled manufacturing to provide that growth spurt would not be able to do so to the same extent in the future. “Another strategy that performed some of the essential roles that manufacturing export-led development did was, therefore, necessary“ he said. “Successful development policy will need to be explicitly more multi-pronged, addressing the separate ‘challenges’ that the manufacturing sector addressed simultaneously,” he said. According to him, governments will need to play important role in the new structural transformation towards a modern economy. “That economy would not, in general, be a manufacturing economy, but a modern services economy,“ he said. Stiglitz said that modern agriculture would be vital in the next phase of Africa’s development. He highlighted the need for robust agricultural sector to provide full employment by stimulating manufacturing and services, adding that African countries should seek to add learning dimension to agriculture and other sectors. Stiglitz said that modern agriculture could be very “advanced”, adding that there should be focus on non-labour saving innovations, including better crop mix and better fertilisers. “The focus on “learning” should emphasise developing skills that are useful in modern economy and there should be transformation of farming from traditional practices to modern farming”. Dr Benedict Oramah, the President of Afreximbank, said that the lecture series was being launched to recognize and immortalise the exceptional contributions of Ndiaye to Africa and indeed, mankind. “Dr Babacar Ndiaye was a visionary, consummate leader and a great institution builder who served the continent of Africa in an exemplary way throughout his well-documented and celebrated career,” he said. Oramah said that Ndiaye engineered massive transformation of the AfDB and the financial landscape of the continent. “He strategically used the AfDB’s platform and convening power to address some of the key constraints to economic development facing the African continent, emerging as a prodigious builder of development finance institutions across the continent,’’ he said. Oramah extolled Ndiaye’s vision in championing the creation of Afreximbank and wondered what would have been the course of Africa today if the bank had not been created. “Which international bank would have been there to support the continent in the past two years of severe commodity crisis if Afreximbank was not there to disburse over $9 billion to certain banks and central banks? “Which international bank would have ignored high compliance cost to be there for African economies that have lost correspondent banking relationships? “How would Africa today be dreaming of expanding intra-African trade and export manufacturing without an Afreximbank?,” he asked. Oramah said that since inception, Afreximbank had disbursed about $50 billion in support of African trade; attracted about $60 billion into strategic sectors of the African economy and expanded the continent’s industrial capacities. In a goodwill message, Charles Boamah, Senior Vice President at the AfDB, commended Afreximbank for the initiative to honour Ndiaye. He said that the former AfDB President charted a clear path to Africa’s economic development. Dr Donald Kaberuka, a former President of the AfDB, said that Ndiaye’s defining characteristics included his deep belief in Africa and conviction that Africa could achieve development through trade and investment rather than through aid. “He rejected artificial divisions imposed on Africa, instead preferring to see the continent as one unit and believing that the Africa would develop best through continental integration,“ he said. Afreximbank said in a statement that it launched the Babacar Ndiaye lecture series to honour the late Dr Babacar Ndiaye, President of African Development Bank (AfDB) from 1985 to 1995 for his many contributions to Africa’s economic development, in particular, and his critical role in the creation of Afreximbank. “In addition to helping the AfDB to earn triple ‘A’ status, Ndiaye, who died in July 2017, was also behind the creation of several other continental institutions including Shelter Afrique and the African Business Roundtable“.